Every business needs content. But not all industries are easy to write about. 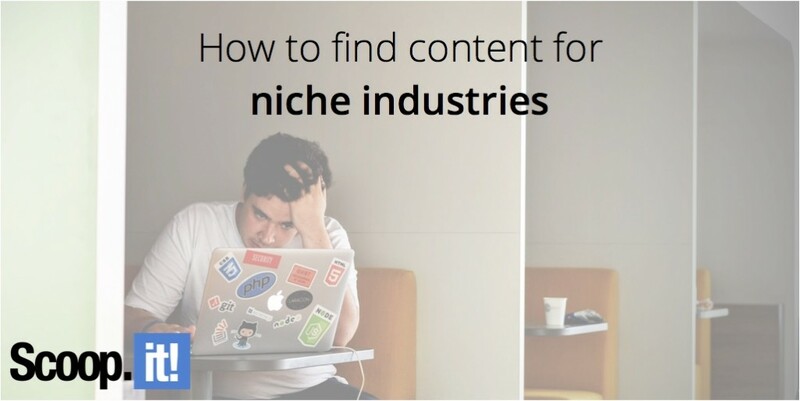 I often speak with business owners who struggle to produce enough content for their blogs, simply because there isn’t much to write about in their niche! Even when they search for third-party content to curate, they find that nobody is producing much buzz about their business. How can these companies keep their websites active when their industry isn’t super news-worthy? The best answer is still curation. But when your industry is super niche, let’s say “marble grout cleaning”, you have to go about curation a bit differently than someone in say, the “healthy living” vertical. There is loads of content for these terms. Here at Scoop.it, we work with thousands of diverse businesses, most of which are able to successfully utilize the Scoop.it suggestion engine to find articles relevant to their industry. Healthcare, insurance, car dealerships, home improvement, you name it. 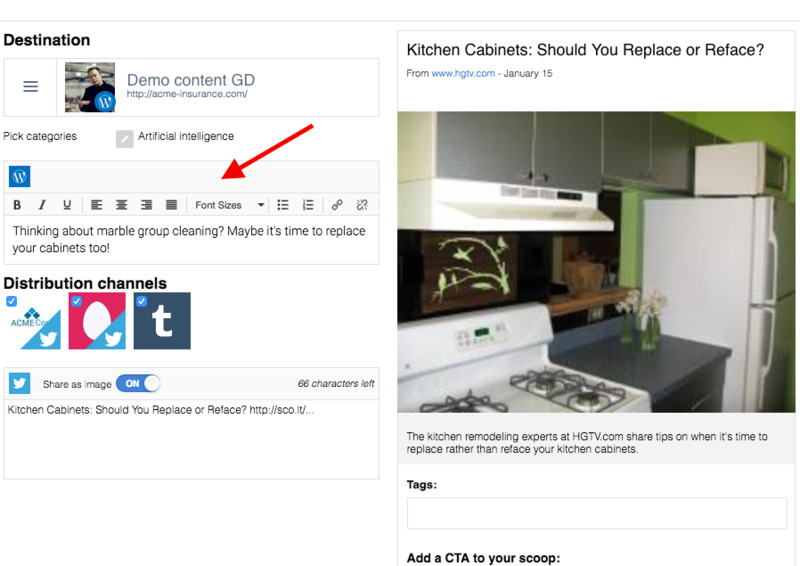 There is always a way to find curated content relevant to you. Let’s stick with the “marble grout cleaning” example. This is actually a true story from a current Scoop.it customer. This customer runs a very specific business, and wanted to drive traffic and leads through his blog. He was writing a few original posts per month, but wanted to supplement his publishing with relevant curated posts. Logically, he typed “marble grout cleaning” into our search engine, to see what topics in his industry were buzzing around the internet. Shockingly, the engine was a blank. It seemed that NOBODY had recently published anything relevant about the subject of marble grout cleaning. Was this the end to his curation use? Now what? 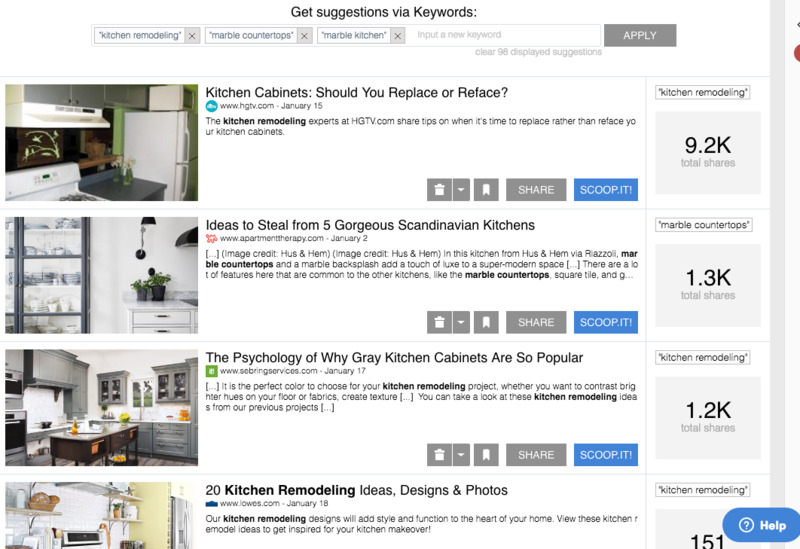 The Scoop.it suggestion engine is great at finding relevant articles, videos, and more from around the web. But if nobody is writing about a specific topic, we can’t pull the content out of nowhere! The customer was disheartened, assuming that curation would not work for his business. But we had some ideas. If you’re in a super niche industry, think about what your customers really want. If someone is looking up marble grout cleaning, it probably means they are in the process of home improvement projects. They’re likely searching for much more than specifically “marble grout cleaning”. Maybe they’re looking up “kitchen counter designs”, “bathroom remodeling ideas”, or something along those lines. Therefore, these are perfect keywords to type into the Scoop.it Engine, and are much more likely to generate buzz online. We gave it a try. Instantly, content started to appear. This particular customer was able to create an active, interesting, and engaging blog in an industry that can be difficult to write about. His experiences demonstrates that curation is a solution for any industry, as long as you uncover what your customers really want. Still want to make the post super-specific to your niche? Add it in the insight! Whenever you curate 3rd party content, a best practice is to ALWAYS add some original insight on top of the quote we provide. Fill this insight with keywords relevant to your business to ensure that it is SEO optimized. Even if the original article wasn’t hyper-specific, your blog post still can be. Need help choosing the right keywords for your business? We offer keyword training sessions on licenses of our enterprise software, Scoop.it Content Director. 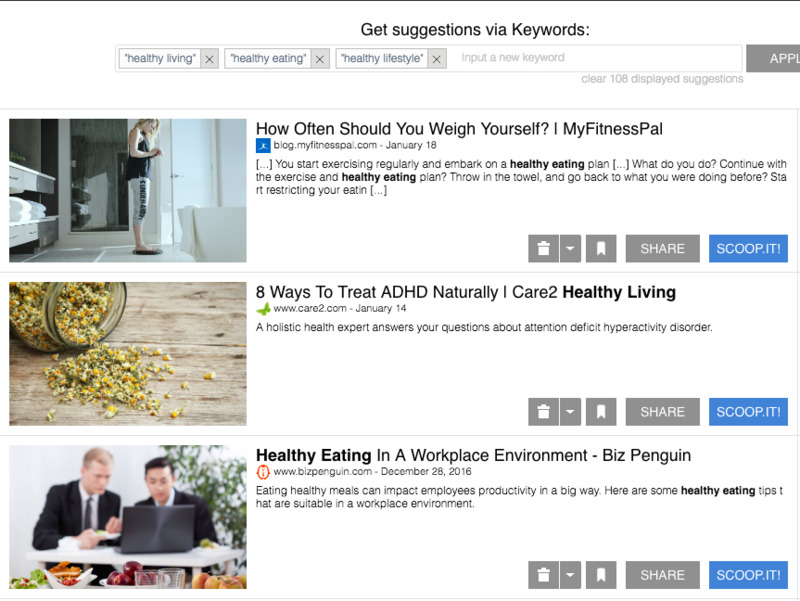 We also have easy step-by-step guides demonstrating how to choose the right keywords to get our engine started.